No-Bake Cookies & Cream Cheesecake Recipe - How to cook No-Bake Cookies & Cream Cheesecake follow these bellow steps to cook. 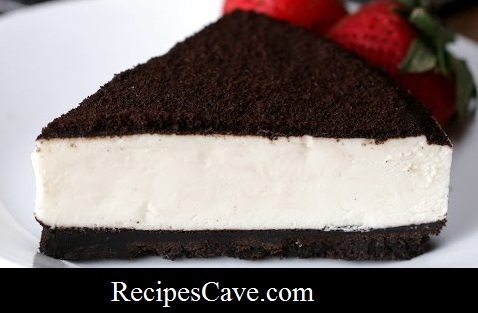 Here is what you'll need for No-Bake Cookies & Cream Cheesecake Recipe to Serve 6-8 peoples. 1. Separate the cream from the cookies into 2 different bowls. 2. Place the cookies into a plastic bag and crush them into fine crumbs with a rolling pin. Set aside 1/2 cup of the crumbs for later. 3. Pour the cookie crumbs into a bowl and combine with the melted butter, mixing until the texture is like slightly wet sand. 4. Press the cookie crumbs in an even layer into the bottom of a 9-inch springform pan. Set aside. 5. In a medium pot over low heat, mix together the cream cheese, sugar, the cream from the cookies, and vanilla extract, stirring until there are no lumps. 6. In a measuring cup, mix the milk with the gelatin until dissolved. Pour the milk into the cream cheese mixture, stirring constantly until the mixture starts to bubble slightly. Remove from heat. 7. Pour the mixture over the cookie crust in the springform pan. Using a spatula or a spoon, smooth the top. 8. Sift the saved cookie crumbs on top of the cheesecake in an even layer, then refrigerate for at least 4 hours. Unclasp the ring of the springform pan, slice, then serve! your No-Bake Cookies & Cream Cheesecake Recipe is ready.